The dominant land uses of Plymouth County are forestland (predominately White and Pitch Pine, Oak, and Red Maple), residential and commercial development, and cranberry agricultural production evidenced by the many bogs seen when driving through. Water supply to towns and cities in Plymouth County comes from surface waters (lakes, ponds and reservoirs), ground water wells located in sand and gravel aquifers and from deep bedrock wells. There are over 450 ponds, lakes and reservoirs in Plymouth County totaling approximately 19,970 acres. Their size ranges from less than an acre to over 2,000 acres. 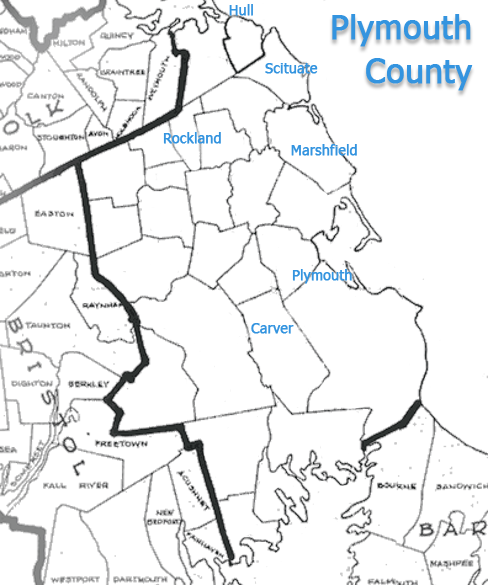 From Hingham and Hanover in the north to Bridgewater and Lakeville to the west, and Plymouth and Kingston to the Southeast, water quality issues typically addressed are the removal of iron and manganese from well water, the neutralization of low pH or corrosive water and the correction of unpleasant tastes and odors. Determining the most appropriate water filtration and/or water softener system can be determined subsequent to a water test and analysis. Arsenic removal from well water, which is done with a water filtration system containing an arsenic specific type of resin which “grabs” the arsenic is very effective in removing this contaminant. Sediment and carbon filtration and reverse osmosis systems may be recommended for the various other water contaminants. Radon removal from well water is achieved with a water filtration system that agitates the incoming water in a sealed chamber, releasing the radon gas and venting to the outside to mix with ambient air away from the home. These systems are very effective in eliminating this dangerous contaminant.